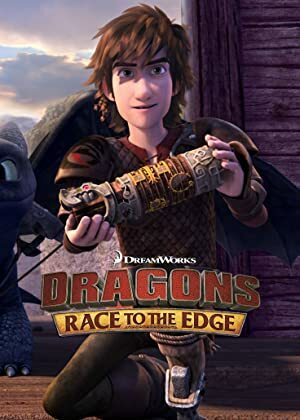 Dragons: Race to the Edge – Season 5 (2017) – What's New on Netflix Canada Today! After defeating Viggo and destroying the Dragon Eye, the calm doesn’t last long as Hiccup learns the Hunters remain a threat led by a new villain who can control Dragons! Now, Hiccup, Toothless and the Riders must battle the Hunters like never before with help from new and old allies. But after a series of shocking revelations, Hiccup learns that the true leader of the Dragon Hunter is somebody he never expected who is after something that threatens the course of the dragon-kind forever! The race is on for the Riders to find this vital piece before it’s too late.